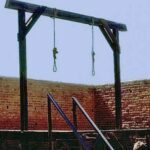 HRANA News Agency – A prisoner was executed in public in the city of Khoy, Qamsar square on October 26, 2017. At the same time, another prisoner was executed in Yazd. 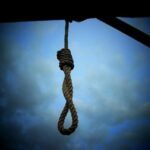 In spite of the obtaining consent and deadline for four prisoners in the Rajai Shahr prison in Karaj before the execution, four other prisoners charged with murder were executed on October 25, 2017. HRANA News Agency – Five prisoners who were charged with drug trafficking, aligns with a prisoner, who was charged with murder, have been executed in Yazd, Thursday morning. 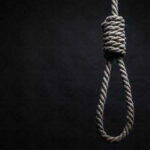 HRANA News Agency – 16 prisoners hanged within last week across Iran. 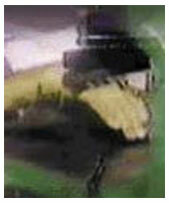 HRANA News Agency – Iranian regime cuts off four fingers of two men’s hand convicted of stealing, publicly in Yazd. According to a report by Human Rights Activists News Agency (HRANA), quoted from ISNA website, Yazd’s Judiciary head said the verdict of cutting off four fingers of two men’s hand convicted of stealing was publicly for the edification of other criminals. In a prediction report, it contains Statistical Data (2010-2011) of Human Rights violations in Iran. The statistical basis of this report, that has been prepared, will provide analytical, statistical efforts of institution, and the publication of Human Rights Activists in Iran. Certainly, due to the Iranian government not allowing human rights defenders to work properly in reporting Human Rights violations and preventing the free flow of information, it does not recognizes the independence of the civil activities, and at the moment, reporting these issues are something with many limitations, difficulty and dangerous in Iran. Obviously, in such situation for Human Rights defenders, despite great difficulties, only a very small volume of human Rights violations are being monitored, researched and documented in relation to media reports, and finding other groups. However with regards to the restrictions, we can» t deny the analytical error of the content, but the Human Rights entity have known the statistical content and analysis repots with %3 margin of error, rare in its own kind. 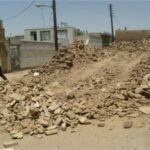 As in the first section of the report, it is necessary to notice the human Rights group activities and effort in Iran to improve the reporting of human Rights violations, however, statistics can make dramatic differences in terms of the reports focused on the center of the country compared to other parts of the country as one of the weaknesses of Iran «s civil society entities. With regard to the Human Rights statistics, 1120077 cases of Violation and protocols documented in Iran with the total repots of 2751, see the map below.